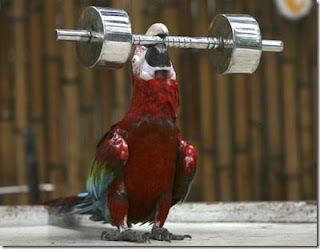 I dont know what the weight is on this barbell, but whatever it is, thats one strong parrot. I wonder if there is a weightlifting competition for birds. This guy should enter.